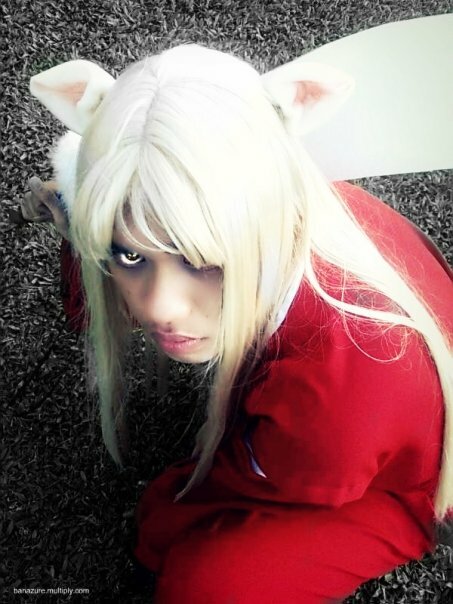 Otaku Geirin - Bacolod » Otaku Corner » Cosplay Cabin » Cosplay Etc. 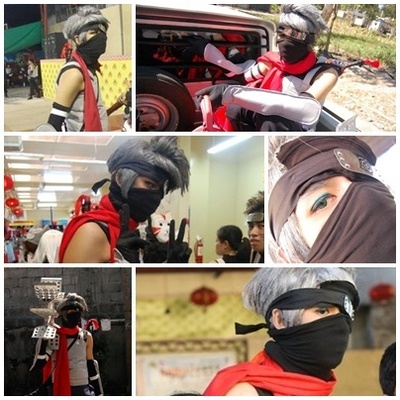 Let me just share my own cosplay stuffs here. haha. I think this is my most remarkable cosplay in Bacolod. This is during the Anbu Fest 2010 in 888 Chinatown Square, Bacolod City. The said event is in benefit of Bantay Bata 163. I originally want to cosplay Iruka-sensei because it's easier than doing a Kakashi cosplay, but my teammates encouraged me to do a Kakashi cosplay because of my height and probably for being goofy. It didn't turned out bad at all, I guess I was able to pull off the character at least. and oh! It was funny bringing that giant paddle which i sneaked from my Dad's junk stuffs. It's supposed to be a giant shiruken but it's just a paddle wheel used in a prawn farm. haha! Who says L from Deathnote is the easiest to cosplay?. I guess Yagami Light is the easiest one. Just sneak your brother's polo and look for your highschool khaki pants and a necktie from "ukay-ukay".. TADAH! 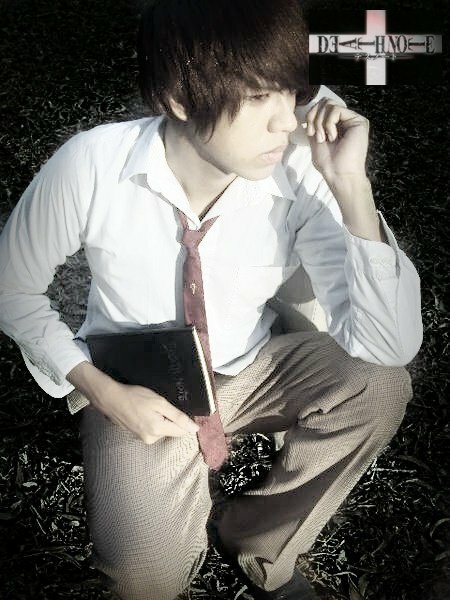 :D instant Yagami Light cosplay! lightdaisuke.......dw sa d.n angel mana codename m?? cloud wrote: lightdaisuke.......dw sa d.n angel mana codename m?? wah!! gusto ko toh ang kakashi! lol. right. I still dun have the ninja sandals that time. lol.